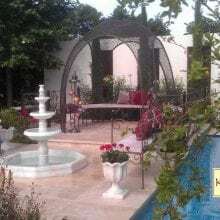 Enjoy sitting in your garden and socialising with friends, dining al fresco and drinking in the sun. 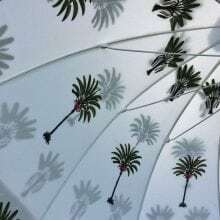 Soaking up the splendour of another fabulous day relaxing under the evergreen canopy of your own wonderful summer garden parasol. As seen in House and Garden, Lincolnshire Life and RHS Magazine. May this year be another truly amazing Indian Summer! 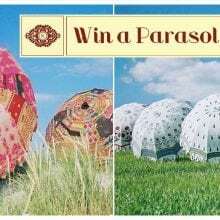 Each prized parasol has been lovingly block printed by hand using the hardiest of colourfast dyes that will remain bright in even the strongest of sunshine. 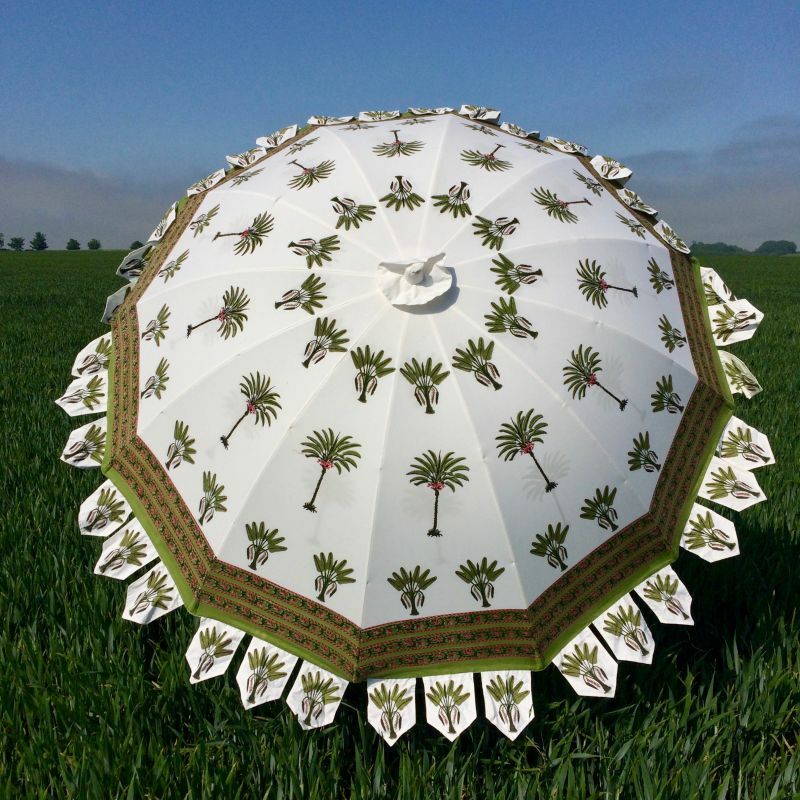 May this parasol bring your garden vigour and extended vitality throughout the Summer and well into the Autumn sunshine. 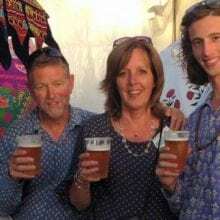 See out the summer in style! 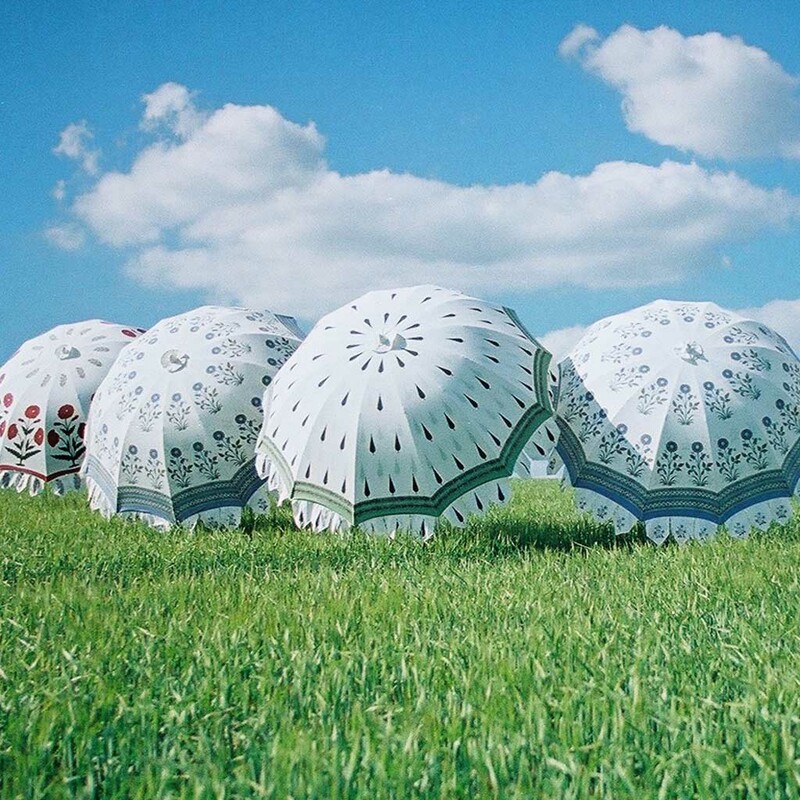 The 100% cotton canopy is made from natural fibres, it is naturally a very strong material and contains a high thread count so it is nice and soft to the touch. Machine stitched for added strength. 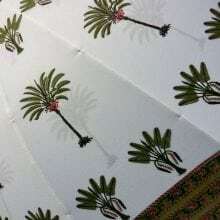 Intricate inner lining – a beautifully ornate design has been lovingly hand block printed to ensure maximum enjoyment from sitting under your new Indian parasol. 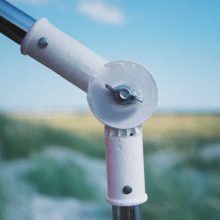 12 spoke lightweight framework – for extra strength and stability. Each spoke of the Indian parasol comes complete with plastic cap so that the framework enjoys an extended relationship with the canopy. Knuckle joint – for angular enjoyment and increased flexibility of use. Follow the path of the sun across the sky and never be short of shade again. 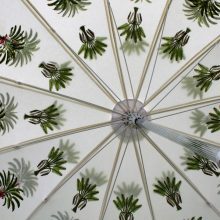 It also allows you to set the Indian parasol at any angle you chose, perfect for those areas in which space is an issue. Complete with a butterfly nut and bolt that allows easy re-adjustment by hand (no tools necessary). 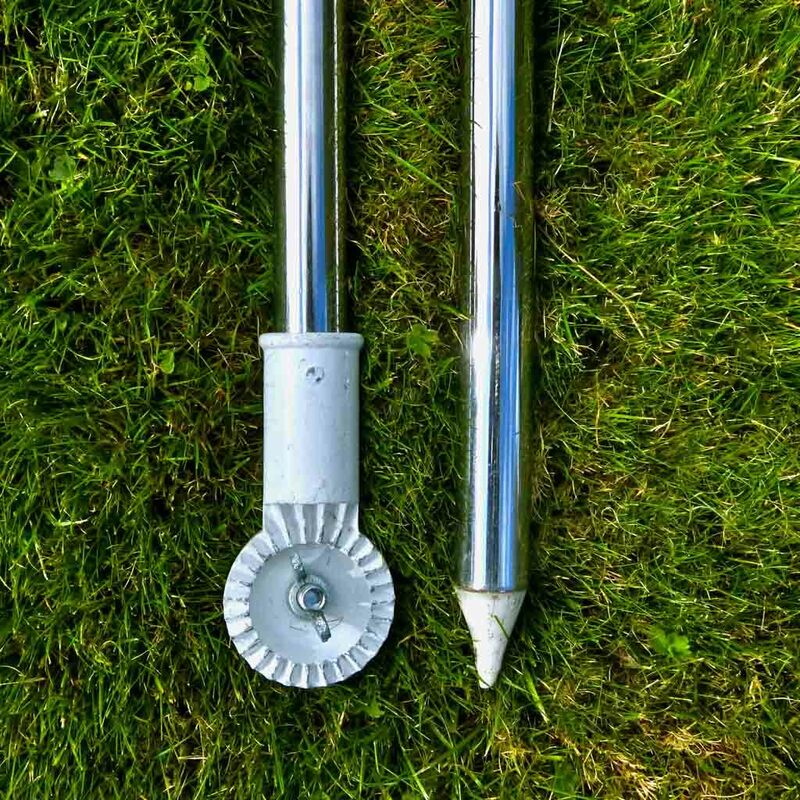 Spiked pole – for easy entry into soft ground. The supporting pole of the Indian parasol ends in a point. The pole is also perfect for inserting into any weighted parasol base (not supplied). We are working on sourcing some beautiful bases… watch this space! Please note, colours may vary slightly. 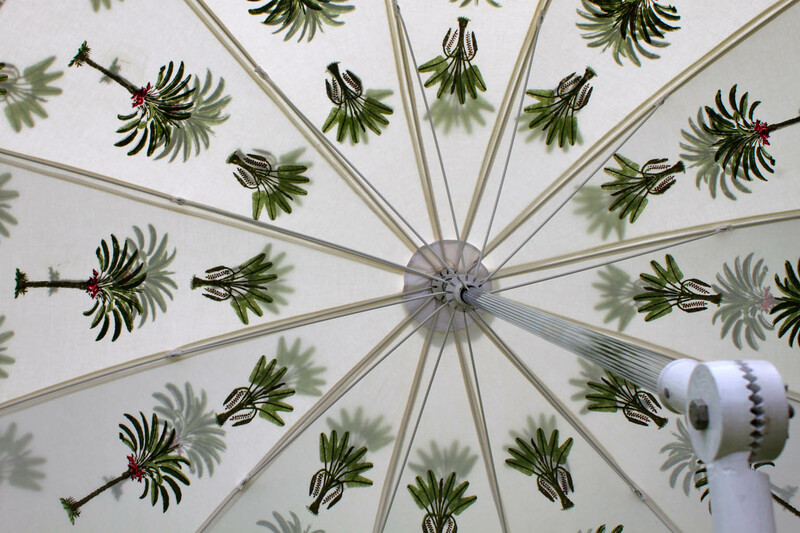 Click here for some essential advice on how best to use and operate your NEW Indian Parasol. Including best practices for putting it up and safely extending the canopy. 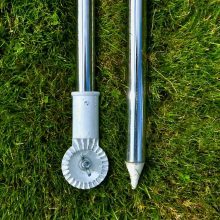 Click here for a few important tips on how to care for your Indian Parasol and keep it looking it’s best for longer. Please don’t hesitate to ask us, any questions that you might have.